From 1995 until present I have been the sole chemist forming part of a multi-disciplinary academic team (known as the Discipline of Applied Sciences) based at The University of Newcastle's Central Coast Campus (UONCC). The campus has teaching and research specialisations in Food Science & Human Nutrition, Sport and Exercise Science & Environmental Science and Management. I have developed successful research collaborations with a number of research groups within and external to the University of Newcastle across a number of fields of science including post harvest science (with NSW DPI), organic synthesis, natural products chemistry and polymer chemistry (please see Research Expertise & Collaborations for details. To date, this work has resulted in the authoring of 100 peer reviewed journal articles and the completion of 15 research higher degree students (PhD), both domestic and international. In addition to maintaining an active research profile, I have held a number of significant administrative positions with in The Faculty of Science including Head of the Discipline of Applied Sciences (2006 - 2014) and Deputy Head of the School of Environmental & Life Sciences (2011 - 2014). I am the current Deputy Head of the Faculty of Science (2014 - present), see Administrative Expertise. I originally trained as a research chemist with expertise in organic synthesis, with a particular interest in how interactions between organic molecules act as signalling agents in both natural and synthetic systems. I have established successful collaborative research with Emeritus Professor Ron Wills (Food Science & Human Nutrition - UON) and Dr John Golding (DPI) to extend the postharvest life of fresh farm produce using biological signalling gases nitric oxide (NO) and hydrogen sulphide (H2S) which delay the senescence process, resulting in reduced reliance on low temperature storage. The role of NO in mammalian physiology is relatively well understood but its action in plants remains largely undefined. I have synthesised zwitterionic NO donor compounds capable of delivering a precise quantities of NO gas to produce over time, in a controlled manner. Solid phase NO delivery has enhanced the scope and flexibility of NO fumigation technology by eliminating the need for cumbersome, expensive and dangerous infrastructure (e.g. high pressure cylinders). The research has yielded numerous refereed journal articles and competitive grant funding. Work in this field has recently been extended to investigate the potential use of NO donor technology to control settlement behaviour in marine organisms. New research involving the use of H2S has yielded similarly interesting results in plants, with treatment resulting in delayed loss of chlorophyll in leafy green produce. Currently, investigations are seeking to advance our undertaking of the interrelationship between H2S and the plant hormone ethylene, a key driver of postharvest senescence. This includes examining the impact of the biosynthetic sources of H2S, the amino acids methionine and cysteine. I have also been involved in molecular imprinted polymer (MIP) research with Professor Adam McCluskey and Dr Clovia Holdsworth (Callaghan campus) that has been supported by a number of external bodies including the Grape & Wine Research & Development Corporation (GWRDC) and separate ARC Linkage Grants with the Australian Federal Police and Bureau of Sugar Research Stations to develop smart polymers capable of selectively sequestering contaminants and high value compounds from solution. I am also engaged in collaborative research with Associate Professor Chris Scarlet (Ourimbah) to screen indigenous and exotic plant extracts derived from Australian native fauna and flora for biological activity against pancreatic and other cancer cells lines. As a foundation academic in the School of Applied Sciences, I have been solely responsible for development, delivery assessment and administration of two first year chemistry courses (CHEM1110 & CHEM1120) taught at UONCC. In two decades of service, I have overseen an expansion in enrolments from an initial student intake of 7 students (1995) to enrolment numbers exceeding 140 students in 2007. The courses are designed to provide an introduction to general & bioorganic chemistry for Life Science and Food Science undergraduates. 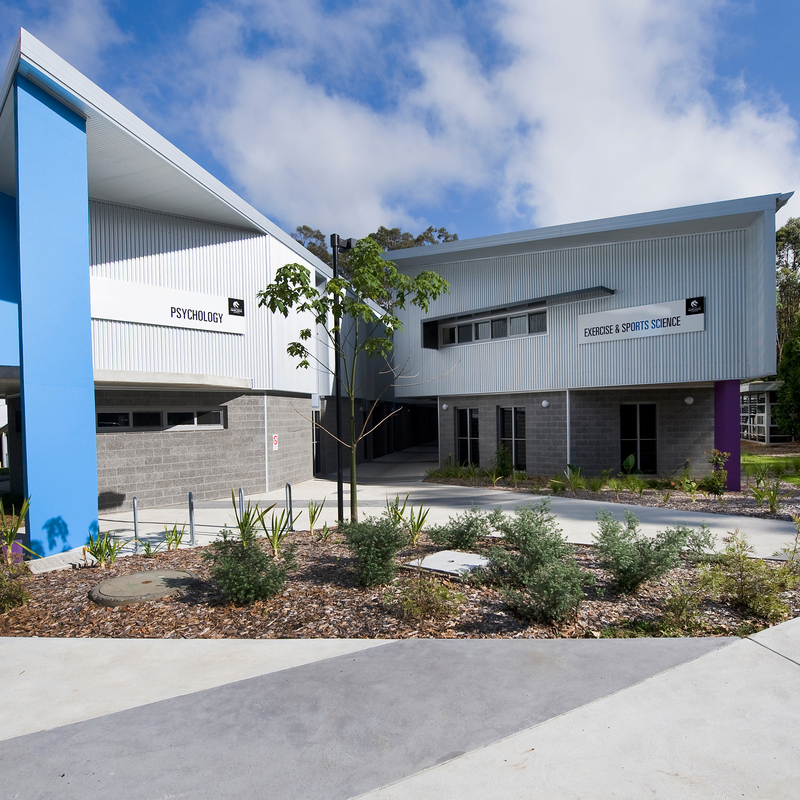 I have also made teaching contributions to 2000 & 3000 level courses in the fields of environmental chemistry (CHEM2260, CHEM3260) and organic chemistry (CHEM2330, 3330) at the Ourimbah and Callaghan campuses and delivered specialist lectures into 4000 level Honours courses, covering selected areas of heterocyclic synthesis. I an an advocate for modern teaching methods which deliver quality learning outcomes for students including the use of blended learning and multimedia based teaching. Coordinator - HSC Experimentfest (2004 - present). School of Applied Sciences Teaching Equipment Committee Representative (1996-1999). UONCC Computer Committee Representative (1996-1998). UONCC Policy Committee Alcohol Consumption (1997-1998). SELS Representative - Faculty Quality Assurance Committee (2002-2003). FSCI Representative - Open Foundation External Review Committee (2005). Deputy Head - School of Environmental & Life Sciences (UONCC) (2101 - 2014). FSCI Assistant Dean - T&L (July - Dec. 2015). FSCI Faculty Executive Committee (2014 - present). FSCI Faculty Strategic Planning Committee (2014 - present). FSCI Faculty Board (2014 - present). Chair - FSCI Progress & Appeals Committee (2014 - present). FSCI Rep - Indigenous Employment Committee (2014 - present). FSCI Rep. - UON Student Experience Committee (2014 - 2017). FSCI Rep. - UON Teaching & Learning Committee (2014 - present). FSCI Rep. Academic Senate (2018). FSCI Rep. - UON Research & Innovation Asset Management Advisory Group (2015 - 2016). FSCI Rep - UON Education Asset Management Advisory Group (2015 - 2016). Deputy Head - Faculty of Science (2014 - 2018). Head - School of Environmental & Life Science (Acting) - 2019. © 2016, The Korean Society of Food Science and Technology and Springer Science+Business Media Dordrecht. The effects of different solvents on the recovery of (i) extractable solids (ES), (ii) total phenolic compounds (TPC), (iii) total flavonoid content (TFC), (iv) vitamin C, and (v) antioxidant activity from lemon pomace waste were investigated. The results revealed that solvents significantly affected the recovery of ES, TPC, TFC, and antioxidant properties. Absolute methanol and 50% acetone resulted in the highest extraction yields of TPC, whereas absolute methanol resulted in the highest extraction of TFC, and water had the highest recovery of vitamin C. 50% ethanol, and 50% acetone had higher extraction yields for TPC, and TFC, as well as higher antioxidant activity compared with their absolute solvents and water. TPC and TFC were shown to be the major components contributing to the antioxidant activity of lemon pomace. © 2014 Institute of Food Science and Technology. Summary: The papaya (Carica papaya) leaf (PL) contains high levels of saponins and polyphenolic compounds, and historically, it has been used as a folk medicine for numerous ailments, including cancer. PL is traditionally prepared by hot water extraction; however, optimised extraction conditions have not been assessed. This study optimised conditions for the extraction of saponins from PL and assessed their antioxidant capacity and antipancreatic cancer activity. Optimisation was achieved using response surface methodology. Saponins and total phenolic compounds were assessed for their antioxidant, free radical scavenging, ion-reducing capacity, and antipancreatic cancer activity. Optimal aqueous extraction conditions were 85 °C, 25 min. and a water-to-leaf ratio of 20:1 mL g-1. Ethanol extracts demonstrated higher antioxidant, free radical scavenging and ion-reducing capacity, as well as antipancreatic cancer activity. This study revealed that the PL contains numerous bioactive compounds, with significant anticancer activity warranting further studies on the isolation and characterisation of individual bioactive compounds from the PL. © 2015 The Royal Society of Chemistry. The acid dissociation constants (pK<inf>a</inf>s) of a number of novel polymerisable vinyl biaryl compounds, 4-(4&apos;-ethenylphenyl)-pyridine (M1), 4&apos;-ethenyl-(1,1&apos;-biphenyl)-4-ol (M2), 4&apos;-ethenyl-N,N-dimethyl-(1,1&apos;-biphenyl)-3-amine (M3), 4&apos;-ethenyl-(1,1&apos;-biphenyl)-4-methanol (M4), 4&apos;-ethenyl-N,N-dimethyl-(1,1&apos;-biphenyl)-4-amine (M5), 4&apos;-ethenyl-(1,1&apos;-biphenyl)-4-carboxylic acid (M6), 4&apos;-ethenyl-4-hydroxy-5-methyl-(1,1&apos;-biphenyl)-3-carboxaldehyde (M7) were determined in a mixed solvent (THF-water) potentiometric titration at 25 °C and subsequent extrapolation to pure water via the Yasuda-Shedlovsky method. The acidity and basicity of the compounds in THF-water mixtures was observed to decrease with increasing THF fraction and is attributed to the corresponding decrease in the dielectric constant of the solution. To the best of our knowledge, this is the first reported study of pK<inf>a</inf> values undertaken for this class of compounds. The biaryls, M1-M7, were prepared by microwave-assisted Suzuki cross coupling of 4-vinylphenyl boronic acid with the appropriate aryl bromide and were custom designed for use as functional monomers in the synthesis of molecularly imprinted polymers. © 2015 Wiley Periodicals, Inc. Vitex agnus-castus (VitexAC) leaves have been used for medicinal purposes for many years. Drying is important to prepare starting materials for further processing, as it is associated with production cost and quality of the materials. Herein, the effects of five different drying conditions on the physical, chemical and antioxidant properties of VitexAC were evaluated. The results showed that 30% of dried leaves with moisture content of less than 7% could be produced from fresh leaves. VitexAC leaves dried by freeze and vacuum drying at 65C had higher levels of bioactive compounds as well as higher antioxidant capacity in comparison with other drying conditions, revealing that these drying conditions are more suitable for drying VitexAC leaves. However, freeze drying is costly and time-consuming; thus, vacuum drying at 65C is suggested for drying the VitexAC leaves as the starting materials for further processing steps. Practical Applications: As drying is an important process to prepare starting materials for further processing steps, it is important to compare different drying methods to identify the most suitable method with low cost and less effect on material quality. The results showed that inappropriate drying conditions resulted in big loss of bioactive compounds and antioxidant capacity. Vacuum drying at 65C was found to be the most suitable method, which can be easily applied for drying Vitex agnus-castus leaves in the industrial scale. The selectivity and rebinding capacity of molecularly imprinted polymers selective for propranolol (1) using the room temperature ionic liquids [BMIM][BF4], [BMIM][PF6], [HMIM][PF6] and [OMIM][PF6] and CHCl3 were examined. The observed IF (imprinting factor) values for MIPBF4, MIPPF6 and MIP CHCl3 were 1.0, 1.98 and 4.64, respectively. The longer chain HMIM and OMIM systems returned lower IF values of 1.1 and 2.3, respectively. MIP PF6 also showed a ~25% binding capacity reduction vs. MIP CHCl3 (5 µmol g-1vs. 7 µmol g-1 respectively). MIPCHCl3 and MIPPF6 differed in terms of BET surface area (306 m2 g-1vs. 185 m2 g -1), pore size (1.10 and 2.19 nm vs. 0.97 and 7.06 nm), the relative number of pores (Type A: 10.4 vs. 7.5%; Type B: 8.5 vs. 3.0%), and surface zeta potential (-37.9 mV vs. -20.3 mV). The MIP specificity for 1 was examined by selective rebinding studies with caffeine (2) and ephedrine (3). MIP PF6 rebound higher quantities of 2 than MIPCHCl3, but this was largely due to non-specific binding. Both MIPCHCl3 and MIP PF6 showed a higher affinity for 3 than for 2. Reduction in the Room Temperature Ionic Liquid (RTIL) porogen volume had little impact on the polymer morphology, but did result in a modest decrease in IF from 2.6 to 2.3 and in the binding capacity (30% to 19%). MIPCHCl3 retained the highest template specificity on rebinding from CHCl3 (IF = 4.6) dropping to IF = 0.6 in MeOH/[BMIM][PF6]. The MIPCHCl3 binding capacity remained constant using CHCl3, CH2Cl2 and MeOH (46-52%), dropped to 6% on addition of [BMIM][PF6] and increased to 83% in H2O (but at the expense of specificity with IFH2O = 1.4). MIPPF6 rebinding from MeOH saw an increase in specific rebinding to IF = 4.9 and also an increase in binding capacity to 48% when rebinding 1 from MeOH and to 42% and 45% with H2O and CH2Cl2, respectively, although in the latter case the increased capacity was at the cost of specificity with IFCH2Cl2 = 1.2. Overall the MIPPF6 capacity and specificity were enhanced on addition of MeOH. This journal is © the Partner Organisations 2014. Some 2-(7-indolyl)pyrroles have been synthesised from the 4,6-dimethoxyindoles 4, 19 and 20 using die modified Vilsmeier reaction. The indolylpyrrole 8 was formed by dehydrogenation of the 2-(7-indolyl)pyrroline 7, which was obtained from indole 4, methyl pyrrolidin-2-one-5-carboxylate and phosphoryl chloride. However, a more generally effective sequence uses a combination of 3-bromopyrrolidin-2-one 11 and phosphoryl chloride to give the 3-chloro-2-(7-indolyl)pyrrolines 12, 29 and 30, which undergo subsequent dehydrohalogenation to give the indolylpyrroles 13, 33 and 34. The 2-(7-indolyl)pyrrole 12 has been synthesised from 4,6-dimethoxy-2,3-diphenylindole 4 via the 1,4-diketone 11, generated from the 4-nitroketone 7. Reaction of tosylmethylisocyanide with some a,ß-unsaturated ketones also yielded the indolylpyrrole 15 and the indolylpyrrolylkelones 13 and 17. 4,6-Dimethoxy-2,3-diphenylindole 1 undergoes reaction with formanilide, acetanilide, benzanilide and several dimethoxy analogs in the presence of phosphoryl chloride to give the corresponding 7-imino derivatives 2-6. This reaction has been extended to include the synthesis of 7-indolyl-pyrrolines and tetrahydropyridines 7-9, 11 and oxazolines 14,15. In benzene, ninhydrin undergoes electrophilic substitution at C2 of 3,5-dimethoxyaniline, leading to the indeno[1,2-b]indole (7), which can in turn be transformed into the fused indole derivatives (9), (17) and (19), the indolenines (15) and (16), the indolone (18), and the dihydroindole (8). The corresponding reaction in water undergoes electrophilic substitution at C4 to give compound (11). © 1994. 4,6-Dimethoxy-2,3-diphenylindole (1) undergoes acylation, bromination, oxidative coupling and acid-catalysed addition to aldehydes at C-7 to produce a range of 7-substituted indoles (3-11), the indolo-isatin (6), the 7,7&apos;-bi-indolyls (14), (16), (18), and the 7,7&apos;-di-indolylmethanes (20-31). Addition to cyclopentanone gave compound (32), while Michael addition to a,ß-unsaturated ketones gave compound (33) and the non-benzenoid double adduct (34). Related reactions led to the formation of the ring-fused indoles (39) and (41). Some reactions of the related indole diester (2) are also reported. © 1994. A series of macrocyclic tris(indolylmethylene) compounds (calixindoles] can be obtained from 7- or 2-hydroxymethylindoles or from the combination of either an indole with a bis(hydroxymethyl)-2,7&apos;-diindolylmethane or a bis(hydroxymethyl)indole with a 2,7&apos;-diindolylmethane; an isomeric series can be obtained from the combination of an indole with a bis(hydroxymethyl)-2, 2&apos;-diindolylmethane. The eponymous 5-, 6- and seven-membered diphosphorous heterocycles have been prepared by alkylating diphosphides with a,(formula omitted) -dihalides and separated into stereoisomers. One isomer of the 1, 5-diphosphocane has been obtained by reduction of the dioxide with trichlorosilane. Stereochemistry is assigned on the basis of (formula omitted) infrared and mass spectral studies and the X-ray structure of the trans-l, 4-diphosphorinane. Thermal inversion studies on the 5-, 6- and 7-membered heterocycles are described. © 1989 Taylor & Francis Group, LLC. All rights reserved. Indoles can be converted into their related imine derivatives by imidoyl chloride reagents (derived from phosphoryl chloride and secondary amides), in a reaction superior to the combination of indole carbonyl compounds and primary amines; however, use of N,N&apos;-diacetyl-o-phenylenediamine leads to the effective formation of enamines.